I painted a Wooden Christmas Tree Advent last year. Today is December 1st, so it's time to get it out and I realized that I didn't have a plan for what I would put in the drawers yet! I knew that my Mother-in-law had purchased advent calendars for the girls with chocolate in them, so I didn't want to put treats in it. Instead, I started searching the internet for scripture advents. I copied and pasted Angie's list into a Word document, printed them and cut them into strips. The drawers of my advent are filled and I'm happy to have an easy way to keep the real meaning of Christmas at the forefront of each of our days this month! Do you do any sort of advent for Christmas? What do you put in it? Do you do something special to focus on the real meaning of Christmas? I'd love to hear about what you do! Here's another Christmas Advent idea, using Halloween Candy! Oh my gosh, it's December 1. I need to get him some chocolates for his calendar! AH! Thanks for the reminder. What a neat idea! I love your Christmas tree advent calendar. And now I want one. hehe! I love that advent! We use to buy the chocolate ones but my kids never liked the chocolate! This looks like a great one!! Where did you get it? You know what? My kids are 13 and 10 and they still LOVE this concept. The countdown is important I think. I haven;t decided what I will do yet so I need to get on that soon. Great idea! I get my children a chocolate filled advent calender each year, but I think I will try the scriptures this year in addition to that. What a great way to keep Christ in Christmas. Thank you for sharing, I'm glad I found your post! It has been going well so far this month- I'm really happy with it! I think I'll just keep the little papers in the drawers for next year! Haha, yes! 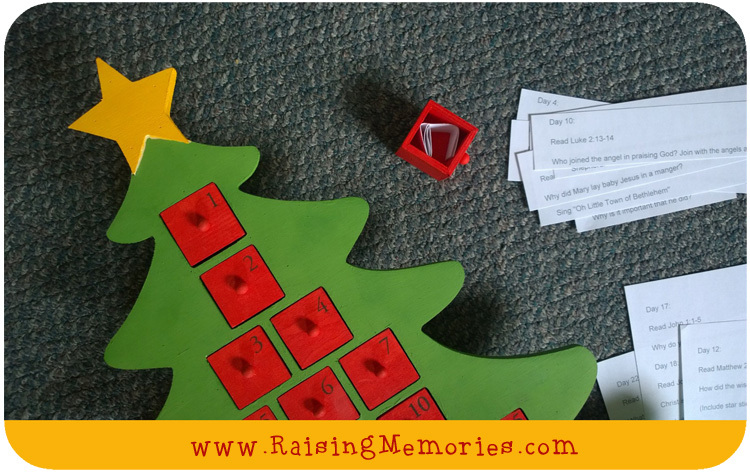 I love that it helps them remember the things they've learned and remind them of the things they've forgotten (or teach what they haven't learned yet). This is so cute and simple. I am thinking we are going to do something like this. Great idea to use scripture. I think I am skipping the whole Advent calendar experience this year. It has been a bit of a hassle for us in years past. I hear ya! 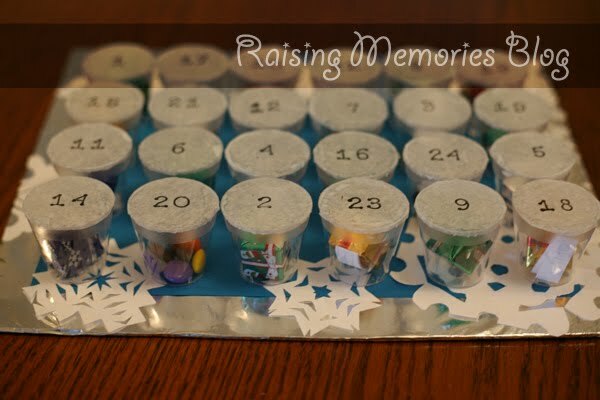 I searched for a while to find something more simple to put in our advent. I saw some awesome, more involved, ideas, but I knew that wasn't going to work for me right now! Egg Nog Candy Cane Fudge! Share Your Letter to Santa & Win $250!